Some of the greatest horror movies ever have been produced on a very low budget. Night of the Living Dead, The Evil Dead, Dog Soldiers, Friday the 13th, The Blair Witch Project...I could go on. If you’re looking for something a little different for your gaming session this Hallowe’en, allow me to offer my assistance. 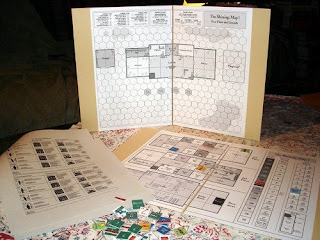 The following board games and RPGs can all be produced for no more than the cost of the ink needed to print them off. Perfect for some low budget horror fun this Hallowe’en. There are probably more games of this ilk out there, but these are all ones that I have personally played, and can recommend. Based on the Stephen King novel of the same name, one player controls the evil and sentient Overlook hotel, the other the Torrence family, winter caretakers of the haunted estate. Using ambient hedge animals, phantoms and (possibly) human possession, the hotel tries to claim young, psychically gifted Danny as its own - by killing him. But Danny and his family will not go gentle into the dark night. The map is simple, but huge – I’d recommend printing each map as an A3 sheet, if you can, otherwise it’s likely to get a little cramped. The ghosts and hedge animals mechanic is pretty clever, with the hedge animals only able to move when no-one is looking at them (for the first few turns at least). It will take a couple of bashes to get your head around the strategy though. It’s impossible for the Hotel to win by using psychic attacks against Danny – but relatively easy to control Jack Nicholson. Be warned though, although this is a light wargame, it is still a wargame – people used to playing Euro or AT games may find this, if not tough-going, then at least a change of style. Yes, that World of Darkness. It’s not the full version of the £25+ rules set, obviously, but it’s a free downloadable trial pack that will give you everything you need to run your first mini-campaign, with the exception of a fistful of d10s. If you’ve seen any of the Underworld movies, then you know what to expect from the World of Darkness setting. And, hey, White Wolf agree with me. They took Underworld to court for 17 points of copyright infringement, and eighty points of “unique similarity”. And the people behind Underworld obviously also agree, settling out of court. 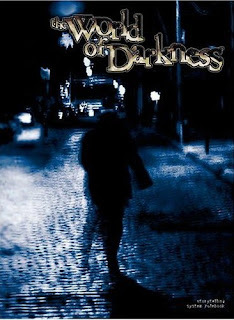 World of Darkness is very much the “emo” of the role-playing world, catering almost exclusively to trenchcoat wearing teenagers, but if you actually take a look, there’s a lot that can be done with this game. Whether you like combative, political or stark horror in your game, this system should cater in one way or another. You can download everything you’ll need for your first few games HERE. Of course, maybe you’re not into sinister and psychological for your big Hallowe’en game. Maybe you want some big and gory Voorheesian action. For this, you’ll need Death Angel. Be aware that this game requires more card cutting than any other on this list. The idea is you’re all on a bus on the way home, when it breaks down in the middle of a ghost town. As the driver get out to fix it, a woman with knives for fingers jumps him, murders him, and disappears off into the darkness. You have to either survive until dawn, or locate the bus keys and drive the bus out of there. This game is really atmospheric, and the card driven combat system really keeps the narrative flowing, as each turn of the combat comes with a vivid description of the action. What’s more, the selection of actions you can take is huge. I’ve played a game where someone managed to get the bus started, only to have the eponymous Death Angel climb aboard the bus and start killing people. Also, if you play this with all the expansion packs, you’ll be able to create fully fleshed out victims, I mean characters, for your games. This is a great DM-less RPG, and one of my favourite print and play games. You can download Death Angel and all its expansions HERE. If you’re into zombies, this is the ULTIMATE zombie board game. 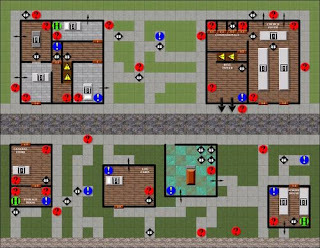 A co-operative game (I strongly recommend you play with the automated zombies rule), you and your friends have to search the house you’re in for any suitable survival equipment, empty the house of any of the walking dead, and then barricade yourselves safely in. A plethora of items can be found (shotguns, riot shields, magnesium flares, first aid kits and, of course, a beagle), virtually everyone I’ve played this with has a war story about it – and I’ve known players to start talking in character. As soon as you’ve finished your first game (you’ll die the first time out, believe me you will), you’ll want to set straight up and play another game. There are a few expansion packs available, but none of them really add anything to the game. There are a lot cards that need cutting, and you’ll need some playing pieces and dice. 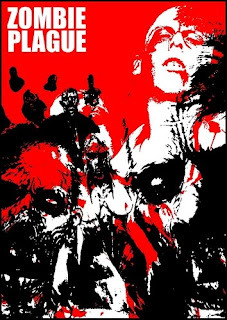 If a co-op “laugh-riot” sounds more like your thing, then you can download Zombie Plague HERE. So what’s the number one game? What’s a great horror game, and available for you to run at your party or gaming night for FREE this Hallowe’en? For the past twenty-eight years, this has been not only one of the greatest role-playing games of all time, but also THE greatest horror role-playing game. It’s innovative Sanity mechanic combined with the monsters and beasts utter alieness makes even hardened players much afeared. Guns will not protect your players, nor will prayers, magic, or faith. This is an uncompromising exercise in true Lovecraftian terror. Still the best there ever has been, and there’s a free demo version you can download HERE. This contains a light version of the rules, character creation system, and a one-shot adventure. If you try one or more of these games, let me know in the comments section. I’d be really interested to hear what you think, too. I think 'The Shining' game is really good fun. My only criticism of the game is that it's two player; a game this good needs to be shared between a group of friends. Still, if you need something to play and you only have two people, 'The Shining' is a great laugh. 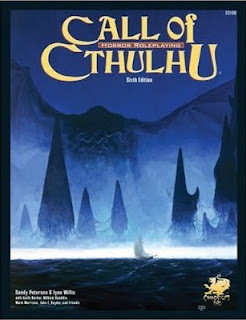 What can one say about 'Call Of Cthulhu'? It's one of the best RPGs I've ever played, without a shadow of a doubt... although 'guns will not protect your players, nor will prayers, magic or faith', dead racoons, elephant guns, rusty axes, headbutts and bowling balls will never let your gaming sessions be boring.